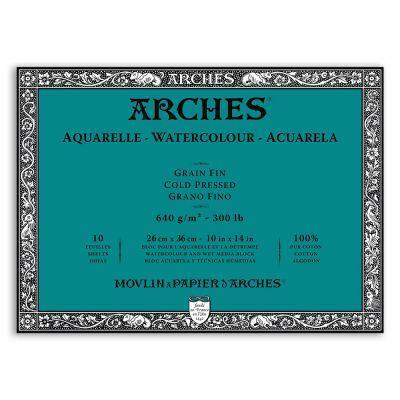 Made in the traditional way, on a cylinder mould, ARCHES Watercolour paper has a harmonious natural grain. The fibres are evenly distributed, making the paper more stable, with very limited deformation. Made of long 100% cotton fibres, ARCHES Watercolour paper can absorb a lot of water without warping or causing the colours to bleed. It is sized to the core with natural gelatin, which means it can be scratched without tearing or linting, a process exclusive to ARCHES. It also preserves the lustre and transparency of the colours whilst preventing paints penetrating into the thickness of the paper. 10 sheets per block, glued 4 sides and available in 300lb (640gsm) in a NOT surface. 140lb ARCHES blocks are also available here. These watercolour blocks are excellent, no mater what size you choose. Just make sure the surface is dry if using masking fluid, as you would do with ordinary paper. 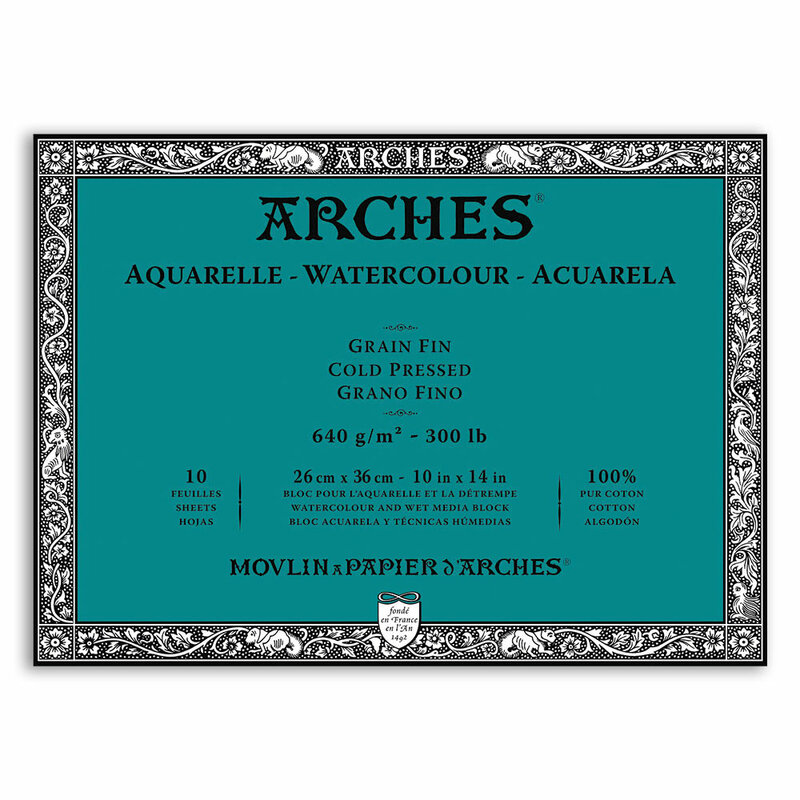 Arches paper never disappoints - Arches Watercolour Paper Block 300lb NOT 10"x14"
very good paper - Arches Watercolour Paper Block 300lb NOT 10"x14"